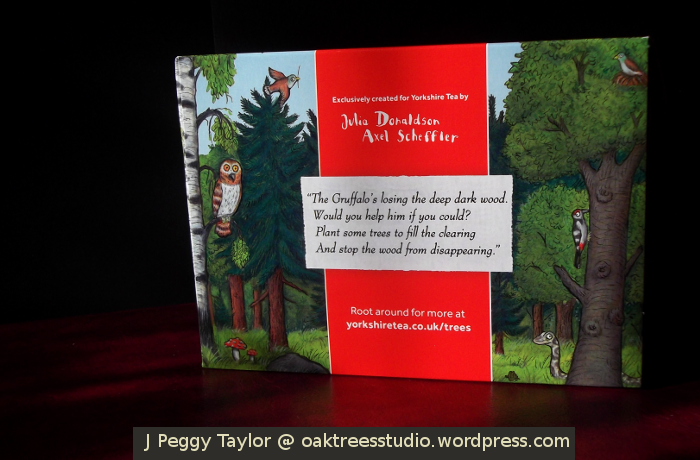 Julia Donaldson and Axel Scheffler supporting Yorkshire Tree – will you help the Gruffalo? among the trees around my home. It’s so refreshing, mind restoring. There’s much to see – it’s never boring. campaign to plant a million trees! a lot more trees for the Gruffalo! “Who is this Gruffalo?” you say. I’ll introduce him, if I may. We first met the Gruffalo when our boys were very young. First, we found him lurking in the library picture book boxes. Then, as we grew to love him, the Gruffalo came to stay on our own bookshelves and was soon joined by an audio recording of the book, read by actress, Imelda Staunton, and then subsequently along came The Gruffalo’s Child too. Our boys loved these picture books. They’re wonderfully written by Julia Donaldson, with the text in rhyming couplets that just begs to be read aloud. Axel Scheffler’s fabulous illustrations truly bring the books to life. Now, the Gruffalo has joined the Woodland Trust and teamed up with Yorkshire Tea to support his beleaguered woodland habitat. Schoolchildren are helping with tree-planting not only here in the UK but also in Kenya, where some of Yorkshire Tea’s tea is grown. One million more trees are to be planted by 2020. I like a nice cup of Yorkshire Tea myself and I couldn’t resist boxes of teabags incorporating Axel Scheffler’s Gruffalo illustrations. And then I found the Gruffalo was supporting my beloved trees! (I am a bit of a tree-nut, as some of you know 😉 .) If you can, make an excuse to visit woods with children this Spring or Summer – your own, your grandchildren, schoolchildren, any children … and you can find some wonderful activity resources on the Yorkshire Tree website, including how to attract a Gruffalo to your woods. 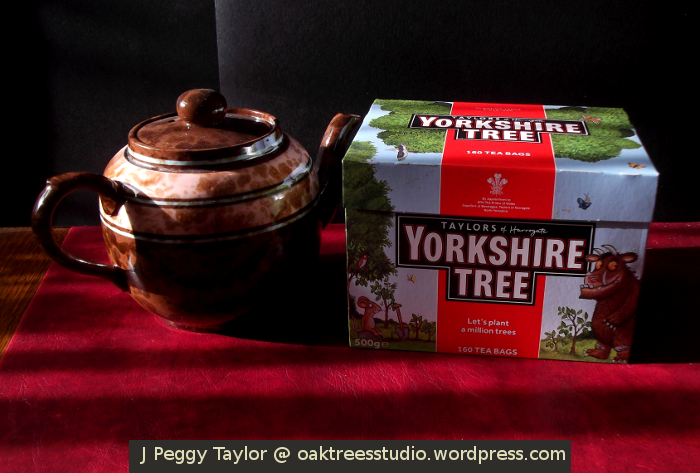 I hope you’ll join me in drinking #YorkshireTree tea and help the Gruffalo to “stop the wood from disappearing”! Join in – it’s the Big Butterfly Count! This year’s Big Butterfly Count runs from Saturday 19th July to Sunday 10th August. 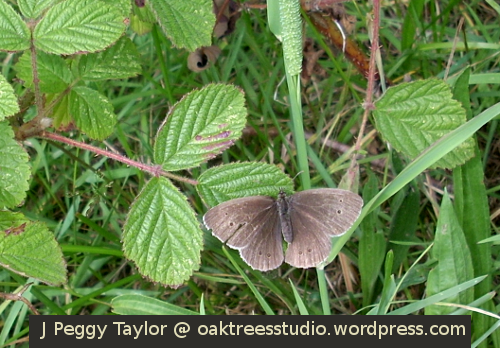 Many of the UK’s butterflies are declining in numbers and around a third of species are threatened with extinction. They need our help. What is the Big Butterfly Count? Anyone and everyone, old and young, can join in this easy-to-do survey of butterflies and day-flying moths here in the UK over the next two weeks. The Big Butterfly Count is an annual survey organised by Butterfly Conservation and supported by Marks & Spencer. The reason for choosing butterflies as the survey species is that they are very sensitive to changes in their environment and so are a really good indicator when changes occur. We have been taking part in the Big Butterfly Count for a few years now and it really is a fun family activity but also a very worthwhile citizen science project. 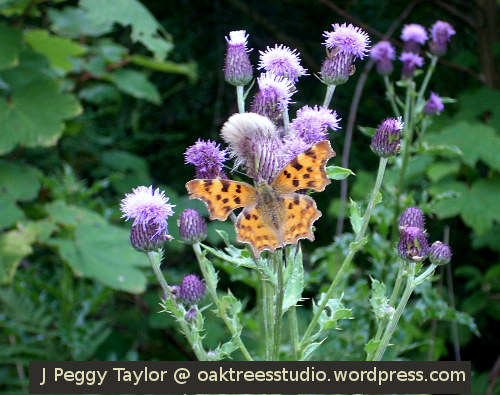 You only need to spend 15 minutes watching butterflies in your garden, local park or other green space. You can either stay in one place and count the highest number of each species of butterfly you see during the 15 minutes. Or if you take a walk, just add up how many of each species you see during the 15 minutes. Carry out your survey in bright or sunny weather – just like most of us, butterflies prefer to go out when the sun is shining, so if it’s sunny you’ll get a more accurate snapshot of the butterflies that live in your survey spot. If you need help with identifying the butterflies you see, Butterfly Conservation have a handy free Butterfly ID Chart to download from their webpage. There’s also a free App for iOS and Android that you can use for the Big Butterfly Count. You can take a look on the interactive map to see what butterflies other people in your area and across the country have found too. After you’ve counted your butterflies don’t forget to log your sightings online, either on the website or directly via the App. Why not give it a try? 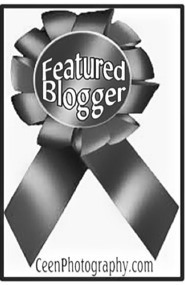 … help to take Nature’s pulse this Summer! A couple of weeks ago when I was looking ahead to the upcoming topics for Cee’s Fun Foto Challenge, I was doubtful I’d have a suitable entry for this week’s animal theme. 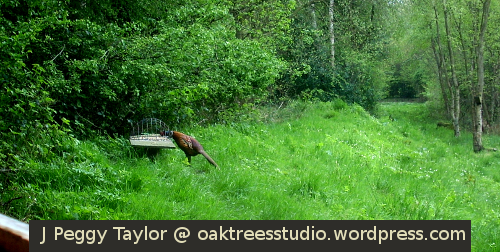 It’s not that I don’t see animals and birds – I see lots – deer, birds of prey, all kinds of nature’s finest. But photographing them is another story! However, it’s amazing how life works out sometimes and a recent day out, that didn’t go quite as planned, led to us visiting a local country park. 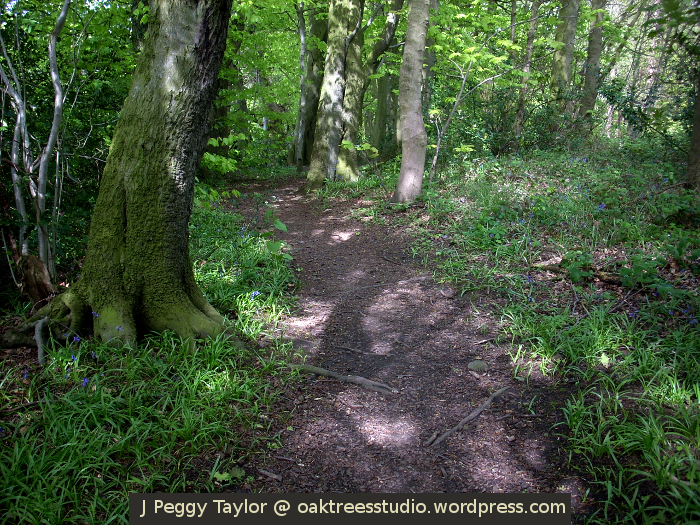 This woodland park is an old family haunt of ours. 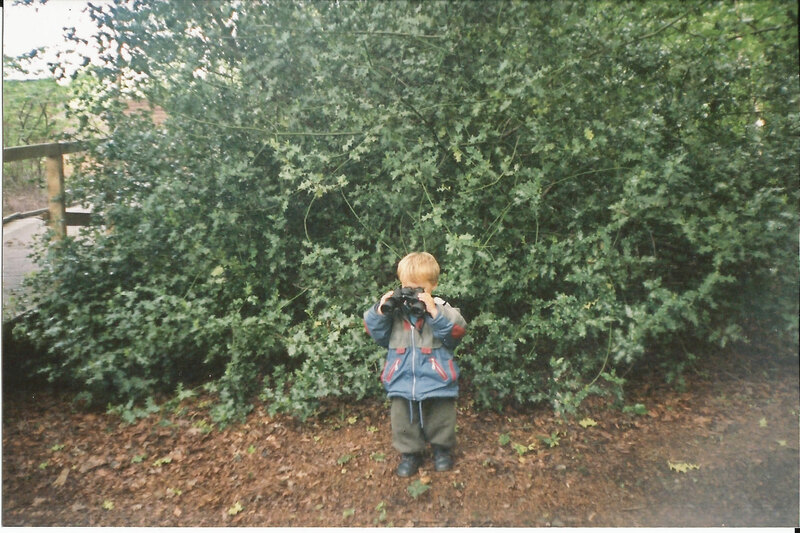 Our children have spent many happy hours here over the years – exploring in the old woods, paddling in the stream, and watching wildlife in close-up from the bird hide. For anyone whose life has not been enriched by a visit to a bird hide, it is basically a wooden shed in which you literally ‘hide’ whilst watching the birds or animals going about their normal busyness outside. You might imagine bird hides normally attract serious bird-watching types dressed in green, up-market, rustle-free outdoor gear, clutching large binoculars or spotting scopes and cameras with huge camo lenses. Well, sometimes that’s true. In this bird hide you do see serious birders. There were a couple there the day we chanced to visit (complete with cameras with huge camo lenses!). But here you are equally likely to meet the next generation of ecologists. Today’s party were aged about seven years old, visiting from a Newcastle primary school. We find the children have always been ‘well prepared’ by staff before they make their way over to the hide so it’s always a surprise when a group of about 10-15 children suddenly creep up on you in the hide! “Can we come in?” their teacher asked in hushed tones as the group stood expectantly outside. “Of course!” I replied enthusiastically, but in equally hushed tones. I’m not sure why I was answering on behalf of the public hide! I guess I’m just very keen to encourage everyone, especially young ones, to learn about the natural world. I shuffled our belongings to make more space. Today the children seemed to have come particularly to see a new owl nest box that had been fitted within sight of the hide, but set back into the woodland. Unfortunately, by the time they arrived, the children had missed the exciting animal antics we had just enjoyed. Right outside of the hide windows are several feeding stations which are kept stocked several times a week with bird food, supplied by kind supporters of the woodland visitor centre. We had seen several species of small birds including nuthatch, chaffinch, dunnock and robin. 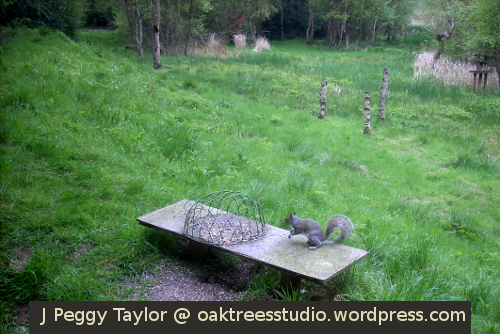 We watched two grey squirrels doing acrobatics to reach the food in the carefully constructed feeding areas. Delightfully, at one point, a roe deer wandered through our view. It’s always wonderful to watch from the hide. This very enjoyable and unplanned visit to the hide gave me the chance to take a few photos too – just what I needed for for Cee’s Fun Foto Challenge this week! I think the squirrel that amused me most was this cheeky one. It was close enough for me to quickly snap a shot as it hopped up onto the low table right in front of us. 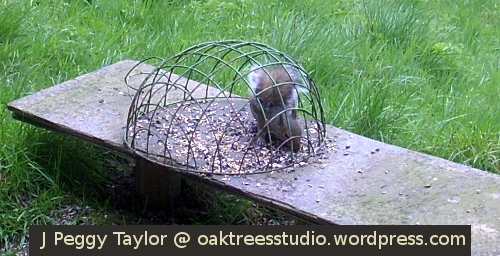 It swiftly dived straight into the wire mesh cage … which is really there to prevent larger birds like wood pigeons coming down and clearing all of it at one sitting! Grey Squirrel was happy to sit there and feast for a while. Not to be outdone, we then saw this pheasant poking his head inside another wire mesh cage to reach the tasty seed food. He was quite happy to stay there long enough for me to capture a few shots. Here’s another kind of woodland animal that I’ve photographed a few times! This was a good few years ago, but teaching our kids to care about nature just seems the right thing to do, I think.